Reminded me of long iTunes backup...no!!! Apparently, I was already too late for the 99-cent offer as the app was $1.99 when I purchased it, though rumors have it increasing to $4.99 after an initial promotional period. Once installed on my Droid X, I upgraded my version of doubleTwist on a Macbook Pro, and proceeded with what was a smooth setup process. I enabled AirSync on my phone, entered a passcode when doubleTwist recognized my phone, and a sync was underway. That's what you want to see - a completed status bar! Then, in what gave me flashbacks of my problems with my iPad update (endless backup process), my doubleTwist syncing seemed to be getting stuck somewhere. I had read in Engadget's initial review that they recommended starting from scratch, so since I was interested in a fresh start, I wiped out all of my music that had been previously synced with doubleTwist. Upon restarting the programs, I created a single playlist in iTunes for my phone and began moving albums, artists, and songs over. It does take a few seconds for doubleTwist to register changes in your playlists. I've found that clicking around the program on different lists and such can sometimes trigger the update. Otherwise, closing and reopening the program has also done the trick. Once connected (wirelessly!!! ), the two programs sync very nicely, and although it won't break any file transfer speed records, I was pleased to find my music on my phone again. 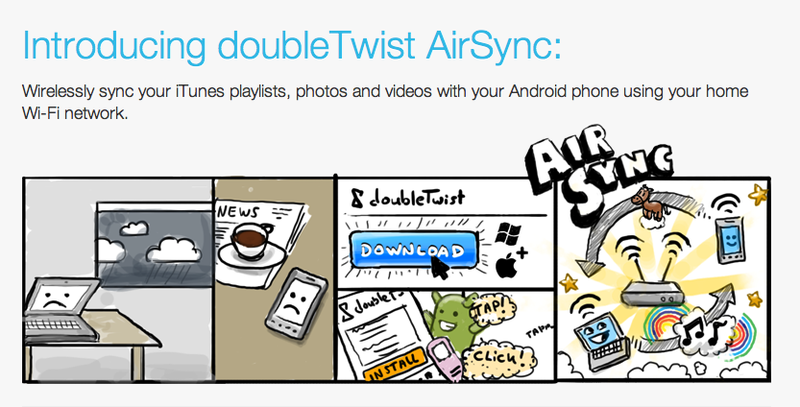 The default sync setting is to automatically have doubleTwist sync with devices when connected. Thus, I found my phone turning itself on whenever I came within striking distance of my laptop. I promptly switched this over to manual sync on the computer and left AirSync enabled on my phone. After a long initial sync to get my favorite albums back on my phone again, I tried some smaller transfers and found that it took about 2 minutes per album. Not bad. 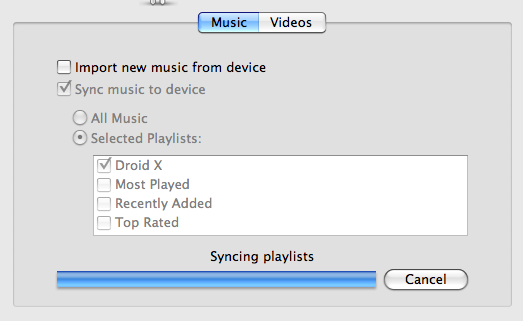 On the Mac, I only had the options to sync my iTunes music and videos, as photos was not an option. 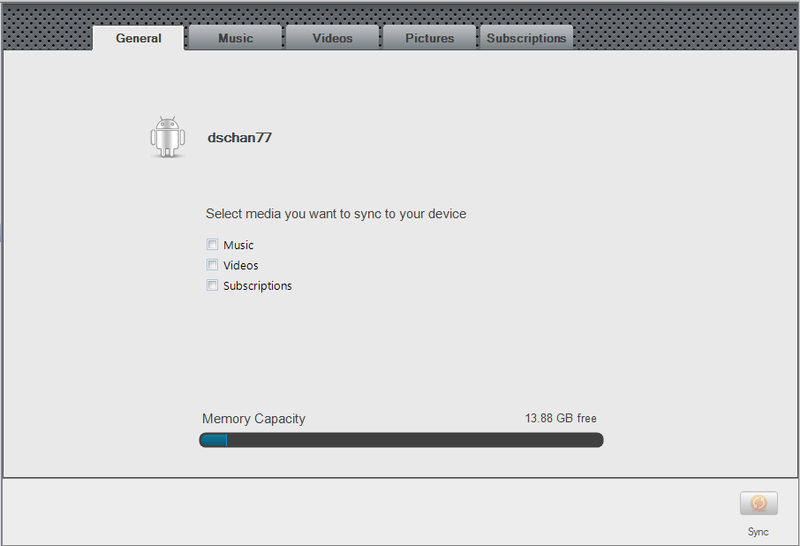 With the PC version, you do seem to have a few more options with photos and subscriptions. It should be noted that not all users are having a flawless experience using AirSync. However, there is a dedicated AirSync forum run by doubleTwist, and an administrator that seems to respond promptly to questions. doubleTwist has taken a fine leap into what is likely the future of syncing media between computers and mobile devices. I would not be surprised to see a similar feature released by Apple and possibly Google itself that takes advantage of the freedom enjoyed by wireless sync. As a heavy mobile user, I rarely need to connect my phone to my computer, since all of the applications I rely upon the most (calendars, email, contacts, and apps) are all available through the cloud. 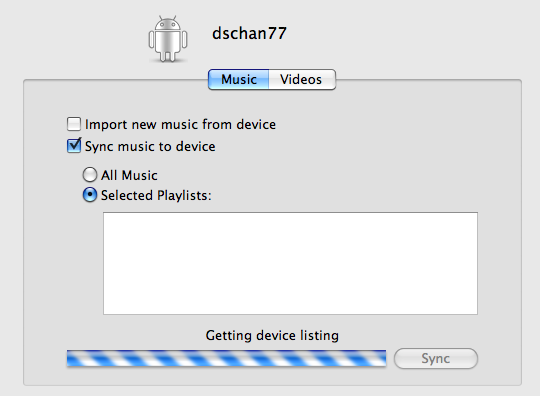 Now that I can do the same with my music, it’s one more reason why I won’t need that USB cable nearby anymore. Subscribe to just Android Posts by this author.